SU Podium Section Tool is used in this case. You may need it to present your design project especially for small spaces. Good one. 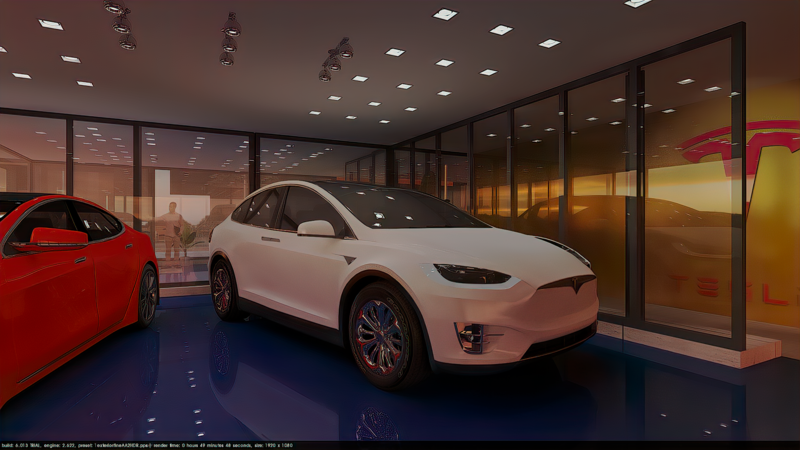 And I see you are using HDRI lighting for ain interior scene. Looks good. usually get some noise with HDRI lighting for an interior. The section fill is manually done? The default color of SU Podium Section Tool is black. I change it to gray manually. Using HDRI is easier for users to light up the space. But what if too much reflective materials in the space, it's also easy to observe some strange reflections in the rendering. So I adjust reflective materials with blur reflection. It looks pretty useful !